A beautiful handcrafted leaf ornament by Jem Klein. It is a one of a kind work of art. They are made from sustainably harvested North American wood and have eco-friendly non-toxic finishes. Please note that the hue of wood tends to deepen over time. I try my best to accurately photograph each piece, portraying it's genuine colors, but please keep in mind that the actual color may vary slightly from the photos. *This is NOT a laser cut mass produced item. My ornaments are cut, sculpted, sanded and polished by my hands! 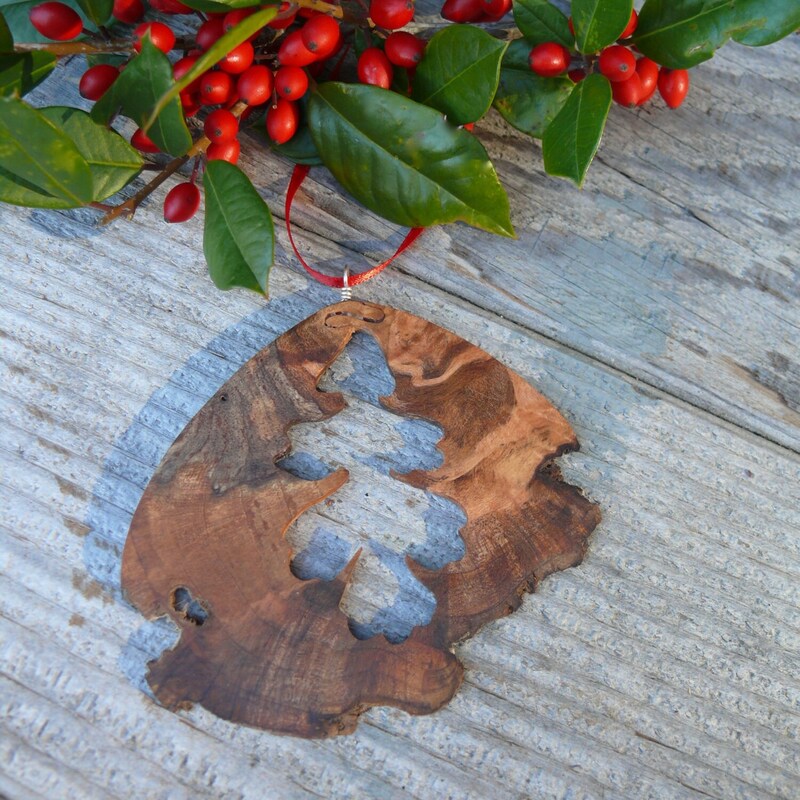 This is ornament is crafted from local wood that I sustainably harvested with love and respect for the forest. *I do offer wholesale to retail stores and galleries.